Hide deals from seller "H2O Auto Detailing & Hand Car Wash"
Limit 1 per person. 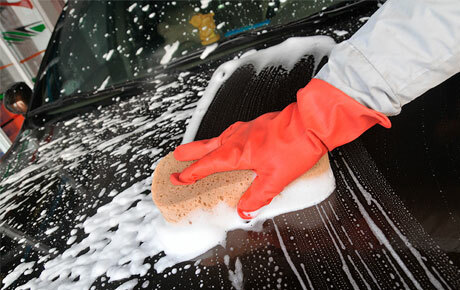 Valid on a hand car wash and detailing services. Valid for all 2-axle vehicles excluding limousines. By appointment only. Promotional value expires 60 days after purchase. Wash away your worries with 50% off a car wash and detailing services at H2O Auto Detailing & Hand Car Wash in Des Plaines ($200 value). This comprehensive package includes everything from an exterior hand wash to cleaning all your car’s interior cracks and crevices. H2O is a family-owned establishment that takes pride in using only the finest products and equipment for every vehicle. Your car will be treated to spot treatment for carpets and upholstery, vacuuming, leather cleaning and conditioning, as well as detailing for the dashboard, door panels and windows. The exterior will receive a thorough hand washing complete with bug and tar removal, exterior buffing to remove surface scratches, clay bar application and waxing. Your car will have a like-new shine after a professional tire dressing, rim cleaning and polishing, and an engine cleaning. Ride in style with this sparkling deal. Family-owned car wash and detailing center in Des Plaines.